Amkor’s Plastic Ball Grid Array (PBGA) incorporates the most advanced assembly processes and designs for cost/performance applications. PBGA packages are designed for low inductance, improved thermal operation and enhanced Surface Mount Technology (SMT) ability. This advanced IC package technology allows application and design engineers to optimize innovations while maximizing the performance characteristics of semiconductors. Custom performance enhancements, like ground and power planes, are available for significant improvements in electrical response demanded by advanced electronics. Additionally, these packages utilize industry proven, semiconductor grade materials for reliable, long-term operations while providing user flexible design parameters. 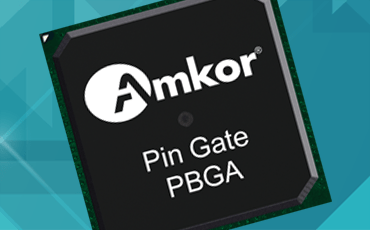 The integrated design features of Amkor’s PBGAs offer enhanced performance in many devices, making this the ideal package for microprocessors/controllers, ASICs, gate arrays, memory, DSPs, PLDs, graphics, and chipsets. Applications requiring improved portability, form-factor/size and high-performance such as cellular, wireless telecommunications, PCMCIA cards, Global Positioning Systems (GPS), computing, video cameras, storage drives, and similar products benefit from Amkor’s PBGA attributes.